While Panel Built is generally known for steel buildings and mezzanines, we also specialize in providing businesses with clean rooms which will help them to address certain issues that the typical factory floor would be at a loss with. What are clean rooms? Why do you need to worry about wall systems for modular cleanrooms? What is the difference between a Class 1,000 cleanroom and a class 10,000 cleanroom. If you are trying to build a business that needs any of these, then you need to know what it is, when to deploy it, and why it is so important. Let’s talk a bit about the need for clean rooms, and then move on to a few of the different types. In your business, there are some things that can be done anywhere on the factory floor, but then there are those things that simply need to take place within a controlled environment – an environment where each and every particle in the air is accounted for, where the concept of dirt is alien. No, we are not talking about some concept out of science fiction; we are talking about a cleanroom and there are several different types for you to consider for your business. The biggest problem that people tend to find with clean rooms is that of choosing the right one. 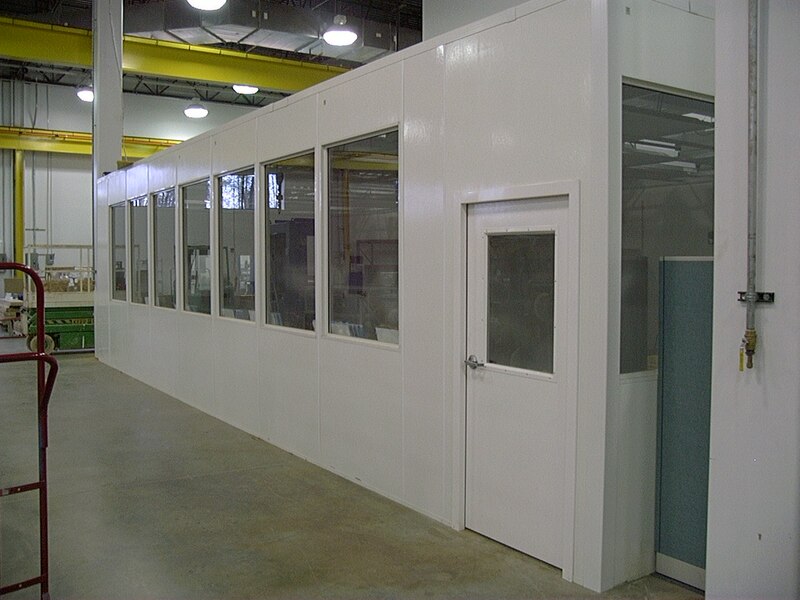 On that note, how do you choose the right prefabricated non-metallic cleanrooms? What process do you use? There are many different considerations that you will need to make, so let’s talk a bit about the basics. Even though you might be overseeing the manufacturing process, it could be regulated by an outside agency, and they could have standards that you need to follow. Make sure you check with them, and understand what level of cleanroom you actually need. Before you rush out and purchase any clean rooms, it is important to understand that there are several different levels that adhere to different International Standards. The cleanest of these is the ISO Class 1, and the least stringent is the ISO Class 9. Lower numbers indicate a cleaner environment. The ISO 6 Cleanroom holds a rating of 36,200 parts per cub meter, and this indicates that it cannot have particles larger than .5 micron per cub meter. Keep in mind that these particles are not something that you will see floating through the air; they are completely invisible to the human eye. The clean room is equipped with filters that remove the particles and will ensure that the room remains perfectly sterile at all times. Cleanrooms, as a rule, are nearly all positive pressure rooms requiring an airlock. This serves to keep contaminants from entering the room, and air is normally introduced at the ceiling level. All air entering the cleanroom passes through a HEPA filter which is capable of removing particles as small as .5 microns. In creating a pressurized room, the pressure within the clean room is greater than the pressure outside, resulting in positive pressure. All contaminants are pushed toward the floor and are removed via vents on the outer walls. This process creates a constant stream of traffic in and out of the room, keeping it clean and workable for the property rated tasks. These types of modular cleanroom(s) are the most common, obviously, but there are also negative pressure rooms which do the exact opposite. A negative pressure room does the exact opposite, which you probably already guessed. In this case, the room may contain certain contaminants, chemicals, and other hazardous materials. You don’t want any of them escaping, hence the need for a negative pressure room. Inside this room, air is pulled through a reversed HEPA filter, creating an inescapable chamber. As you can see, there are many different considerations for you to make when you are choosing a clean room, whether yours is on the ground, or you choose a modular cleanroom mezzanine that sits further above the rest of the workspace. No matter which direction you choose to go, you will find that there are plenty of accommodations you can make, and plenty of different ways that you can incorporate the clean room into your business establishment. The most important thing that you can do is ensure that you are buying clean rooms from a reputable source, one like us. Not only will we give you a fully functional clean room for your purposes, we will ensure that it looks good too! Remember, clean rooms are not always optional. We listed several instances above in which you would be forced to use one for your business, and failing to use the proper clean room for the proper purpose could cause you to lose business and eventually clients. Let us help you choose the right clean rooms for your operation whether you need just one, or several to make your facility complete. This is by no means a complete list of the clean rooms available, nor a complete list of ISO standards. There is much more to learn, and you can be rest assured that we will be more than happy to help you along the way!